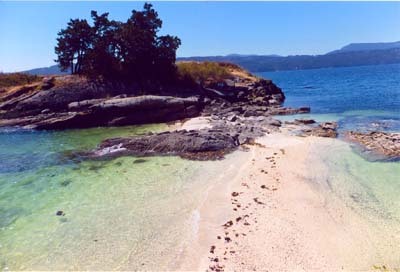 The Gulf Islands are all part of the Islands Trust. 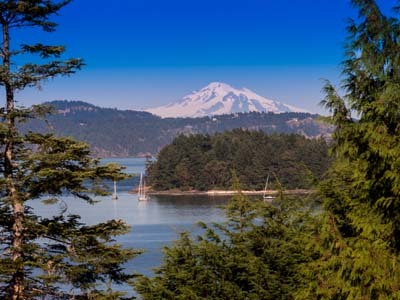 This is a provincial government body, created in 1974, to "preserve and protect the environmental beauty of the Gulf Islands, for the benefit of all B.C. residents". This preservation has been accomplished by strict zoning / density bylaws that basically prohibit growth. All zonings were put in place in 1974, and it's not possible to change the overall Trust documents. Each Island has some small item that would apply to only that Island, but the Gulf Islands are, in their entirety, protected areas. Thus, they will remain as we see them today. 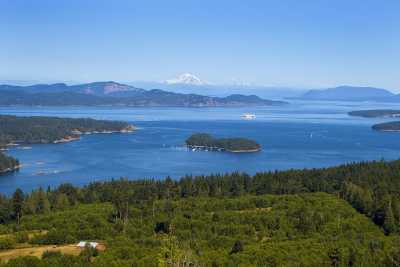 The Gulf Islands are not municipalities. Two trustees are elected per Island, at the civic election time in B.C. For Salt Spring, there is also a CRD (Capital Regional District) director elected at the civic election time. This elected representative sits on the CRD council in Victoria, but there are several jurisdictions around that CRD table, and Salt Spring is often not "seen". This is why I tease a bit, and say that I think the Island is run by volunteers. Volunteers do fundraising, and have created many of the things Salt Spring enjoys: ArtSpring (the theatre and gallery space in Ganges Village), the Library (on McPhillips Ave), the indoor pool (on Rainbow Road), the pathways so people do not have to walk on the busy roads, plus the Island Natural Growers, the Pathways group, the fact that the salmon are now spawning in the creeks and lakes on Salt Spring, the walking trail at Duck Creek Walk, etc…all of these initiatives were started by volunteers. Three ferries service Salt Spring Island and all of them "overnight" on Salt Spring. 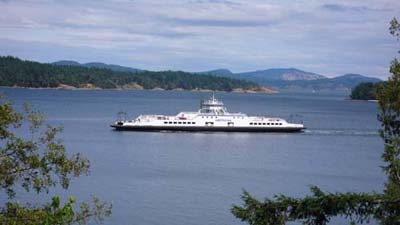 One ferry goes from Fulford Harbour to Swartz Bay, the terminal for Victoria. Another goes from Vesuvius to Crofton, which puts one into mid-Vancouver Island and those neighbouring communities. The third goes from Long Harbour to Tsswassan, the terminal for Vancouver. If one decides to go the Tsswassan to Swartz route, and to then connect to Fulford that way, then a transfer ticket is given at the Tsswassan end. One just has to tell the attendant in the ticket wicket, that one's destination is Fulford Harbour. For those coming from Vancouver's North Shore (West Van, North Van, etc), then it's easy to catch the ferry from Horseshoe Bay to Departure Bay, on Vancouver Island, and then drive south on the Island Highway, to catch the ferry from Crofton to Vesuvius. Just depends on one's departure area, as to which route to take. There are also floatplanes with regular sked flights that service Salt Spring Island. 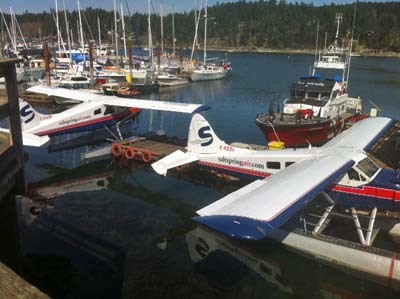 Salt Spring Air has recently been purchased by Harbour Air. It's approximately a 25 minute flight from Ganges Village to downtown Vancouver. Or, approximately a 12 minute flight from Ganges to Vancouver Airport. Harbour Air has recently joined with Kenmore Air to provide flights to Seattle. Two new ferries have been built that will be in service on the Tsswassan to Long Harbour route, and this means more frequent sailings to Salt Spring. Salt Spring has a year round lifestyle. It is not just a seasonal/recreational/summer place. There is a good hospital on the Island, plus health/wellness services for both alternative and traditional medicine options. There are three elementary schools, a middle school , and a senior school. Salt Spring is well known as an artist's colony, and there are several excellent galleries in Ganges Village (Gallery 8, Steffich Fine Art, Pegasus Gallery of Canadian Art, Salt Spring Gallery of Fine Art, Venter Gallery, Jill Louise Campbell Gallery), plus many studios dotted around the Island, where artists welcome visitors. Pick up the annual Studio Tour map at the Visitor's Centre. Painters, potters, fabric artists, wood workers, sculptors, ceramic artists…many artistic offerings are here. From mid-June to mid-September, Mahon Hall, in Ganges Village, showcases artists at the annual ArtCraft. 2019 is their 21st year showcasing artistic inspiration. Remember to check out ArtSpring's galleries, too. Every two years, there is the SSNAP (Salt Spring National Art Prize) event, and the alternative year features the ceramics awards. 2019 showcases SNNAP (September/October). There are apparently over 100 writers who make Salt Spring their home. Plus: actors, dancers, singers, and musicians. ArtSpring showcases both artistic offerings/theatre/music from around the world, and also the gifted "locals"…not necessarily originally from Salt Spring, but now living here. 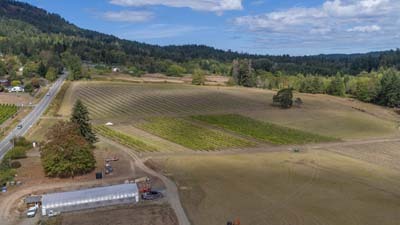 The "foodie" revolution is alive and well on Salt Spring, with many people doing sustainable farming…farmer's market on Tuesdays, plus Saturday Market offer their crops…plus roadside stands where people buy and make their own change…it's all on the honour system. 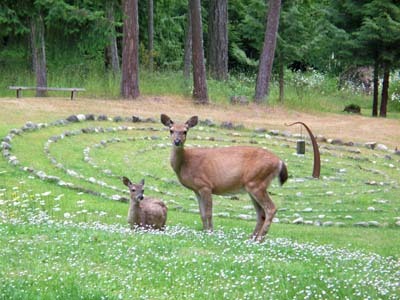 There are many health/wellness practitioners on Salt Spring…both traditional and alternative. 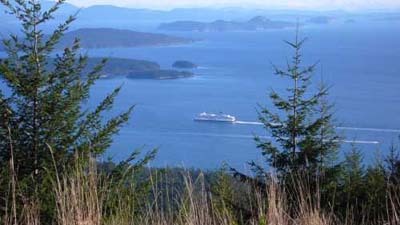 It seems that Salt Spring is known as a "healing Island". There is a Buddhist monastery at the top of Mt Tuam. There is an Ayurvedic Centre on Blackburn Road (Salt Spring Centre). Many smaller venues offering yoga and meditation retreats, etc., are available. 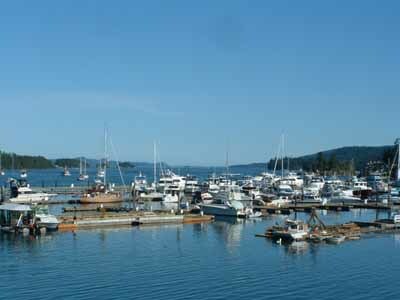 There are two marinas in Ganges Harbour (Salt Spring Marina and Ganges Marina), plus the Salt Spring Sailing Club (at bottom of Douglas Road, which goes off Beddis Road, close to the Village). 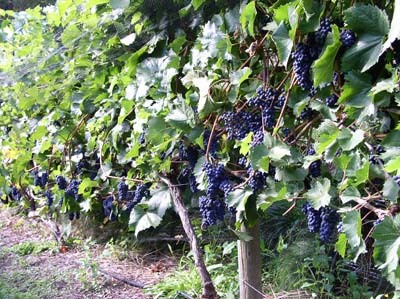 Plus a Vancouver Yacht Club outstation in Long Harbour and a Victoria Yacht Club outstation also in Long Harbour. Real estate markets go up and down, as do all market cycles. 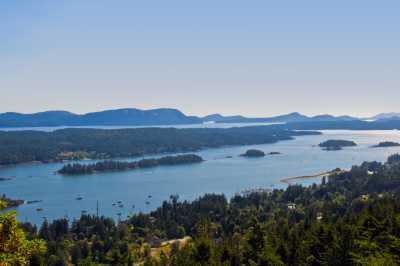 On Salt Spring, though, there will always be a limited inventory of properties for sale. Back in 1974, the Islands Trust capped growth. One cannot change those original bylaws. Over time, they have become even more narrowly interpreted by the various elected trustees. The mandate, remember, is "to preserve and protect". Thus, Ganges Village cannot expand its zoned boundaries. The tiny bit of commercial at Fulford cannot expand. Even tinier at Fernwood and at Vesuvius, with no expansion. Thus, one Hotel and one Motel, nine resorts, and eight townhome developments…and that's it. Commercial/retail is confined to Ganges Villages (seaside and "upper"). Recently, a referendum asking the Islanders if they wanted to enter into a Gulf Islands style of municipal structure, was offered (September 9/17). Approximately 63% of Salt Springers voted to keep the form of governance "as is". Although Salt Springers are passionate about their Island, and do speak up about issues, there is a strong community sense of caring…ask me about this. Mouat's offers a Home Hardware outlet, plus imports furniture, soft furnishings, etc, and they will order in whatever is wanted by the customer. One might call this a Salt Spring version of a department store. They also offer a gift location (Salty Shop) and a clothing store (Mouat's Clothing). There are two major grocery stores (Country Grocer in the Upper Village and Thrifty's in seaside Ganges). A smaller grocery store is Harbour Low-Cost, in Ganges Village. BE offers some antiques/collectibles, and is another place to check out if looking for some eclectic furnishings (find them in Merchant Mews). Bookstores are valued, here (Salt Spring Books and Black Sheep Books). There are some very good restaurants on Salt Spring: Hastings House offers fine dining (they have a bistro as well as a main dining room), and Piccolo's in Ganges Village would be their competition for fine dining. There's also Auntie Pesto's in Grace Point Square, and Salt Spring Inn (in Ganges Village), plus Rock Salt in Fulford Village. Treehouse Café, in Ganges Village, is a tiny space, but also has a good kitchen... and live music, in the season. Don't forget to check out Twig and Buoy at Fernwood... a delicious new kid on the block, and delivering amazing dinners. Another new kid on the block: Woodley's Bistro (in the newly renovated Harbour House Hotel). The places for breakfast/lunch/"snacks"-coffees: Barb's Bakery, TJ Beans, Café Talia, Fernwood Café, plus Treehouse, Auntie Pesto's, Rock Salt, Bean Drinkin'. Take-out: Mexican food (formerly a food truck only, El Loco Taco is now in the former Shell Gas Station structure, across from the Ganges Fire Hall), the Italian take-out (Pasta Fresca)…all pasta and sauces made in-house…located in Harbour Centre next to Centennial Park. Plus: Salt Spring Inn for take-out, too. Twig and Buoy offer wood-fired take-out pizza, as well. There are a number of food carts on Lower Ganges Road, across from Rotary Park (BNurtured can be found here). Always wanted to try kayaking? Talk to Yvonne at Ganges Marina. Whale watching is also offered by Yvonne. On your first kayak adventure, make sure to stop off at Chocolate Beach on the largest of the Sisters Islands. A skier? Including the ferry from Vesuvius to Crofton, you can be on the slopes of Mt Washington in about 2 ½ to 3 hours. 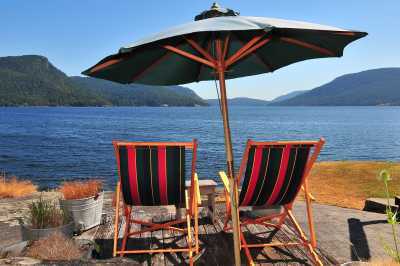 All of Vancouver Island (such as Tofino & Uclulet, on the wild west coast), is available to you as a resident on Salt Spring. East daytrips to Vancouver Island communities, to Victoria, to Vancouver. And yet…the Island offers that valued "apartness" that makes it a sanctuary from the rush of the 21st Century lifestyles. It's not a backwater, though…the internet delivers the world to everywhere, and Salt Spring is no exception. A vibrant techie life is here. Please call, anytime, re any questions or comments. I am always quickly available. 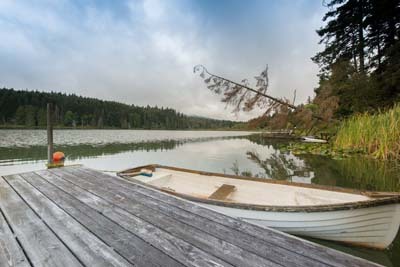 I have lived and worked on Salt Spring Island since 1989, and have successfully connected many sellers with buyers. My knowledge of the Island, its exceptional places, restorative spaces, is there for your benefit. It's a unique place, and is an interesting community as well as a beautiful scenic region.